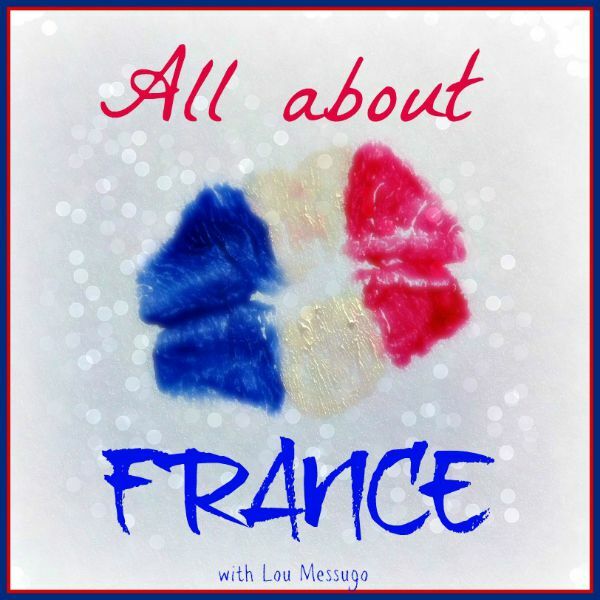 Welcome to All About France the monthly blog linky all about France! Simply put, it links up blog posts with a French theme. Readers, this means you have a wide range of stories about France to enjoy and bloggers, this means you have a place to highlight anything you’ve written about France or French. And today is extra special as we are celebrating a birthday…. 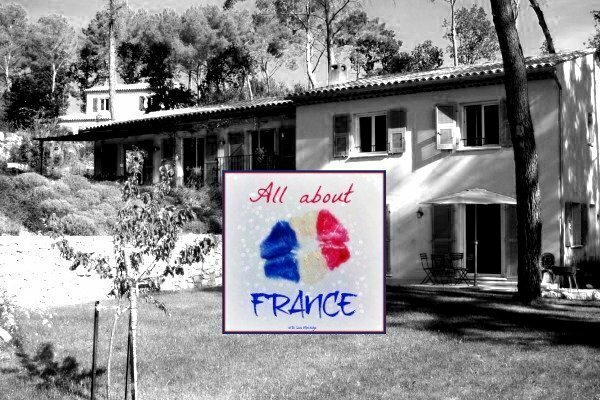 #AllAboutFrance is ONE! Yay! This linky has been running for a whole year, I know it’s definitely a sign of age, but I’m going to say it anyway…where did that year go? However, rather than get all concerned about how fast time flies (I must be having fun, right?) I thought I’d take a look back over the past year and let you in on a few facts and figures. I love statistics! In total 489 posts have been linked up by 106 different bloggers living in 14 different countries – France, UK, USA, Australia, Germany, Holland, Mauritius, Norway, Switzerland, Qatar, Morocco, Czech Republic, Sweden and Mayotte (technically not a separate country from France but too exotic not to mention). It’s possible there are other countries which I didn’t notice so please shout if I missed you out! 4 wonderful blogs have joined in every time, Eco-Gites of Lenault, What Up Swags?, Lost in Lyon and Oui in France (who has a reader survey she’d love you to fill in if you’re a regular reader). You are champions, merci mille fois! Another 10 only missed a couple and you too are worthy of a shout out: Curious Rambler, Reflections Enroute, La Cité des Vents, French Village Diaries, Simply Sara Travels, Our French Oasis, Vaucluse Dreamer, Gone Girl Gallic, Le Jardin Perdu and The Old Duck. Thank you all so much for your loyalty, I’ve loved reading your blogs and getting to know you over the last 12 months. And of course I also hugely appreciate every single other blog who links up with the occasional post about France, all 92 of you! Thank you and here’s to continuing the fun in the second year. Back to today and the linky: don’t forget there are some rules. You can link up 1 or 2 posts, old or new but please don’t just link and run, and please don’t forget to link back to me. As with all blog link-ups it works best when everybody reads, comments on and shares as many of the other posts linked up as possible (please, try for 2 as a minimum). Don’t forget I like comments on my linked posts and here too! 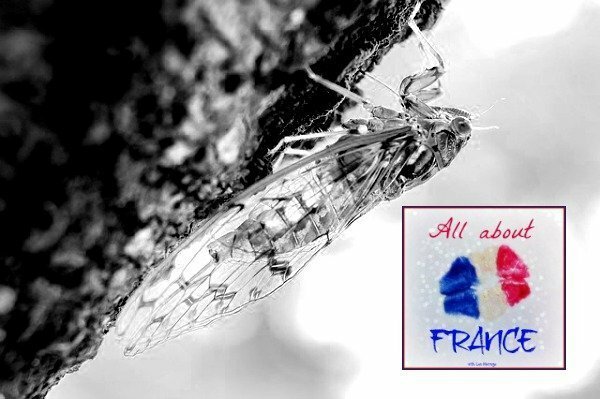 Feel free to use the hashtag #AllAboutFrance when sharing on social media as this gets us all seen even more – I will retweet tweets using it or if you mention me (@FibiTee). Don’t forget the Pinterest group board too which you can pin your post to for extra exposure. Full details of the link-up can be found here. As always it’ll be open for a whole week so you have time to get involved! Thank you Susie, I’m glad you enjoy it. Thanks for supporting it Sara, especially now that you’re far from France. I’m so pleased to have discovered your blog through this. I’m so pleased to hear that Becks! And I discovered yours through this. Can’t believe we still haven’t actually met though. Happy birthday to you. A great link up and always lots of French inspiration. Merci Emily, no small part due to you, having linked up every single time!! Happy birthday! A big success, it is fair to say. Congratulations! It looks like you have packed about 10 years into one, if those fabulous pics are anything to go by! All the best, and I wish you an even better year to come! Happy one year anniversary! So great to have many fab blogs to read from so many varied places. I’ve discovered some really great blogs thanks to you Phoebe! Wow, Happy First Birthday, #AllAboutFrance! Thank you again for hosting every month, Phoebe! I’ve really enjoyed connecting with other bloggers and get a little France fix, especially now that I’m missing it beaucoup! That’s lovely to hear, thanks for the feedback. That’s great Anna, I’ll tweet you reminders! The linky is such a great idea, love finding new Francoholics through your blog. I am very curious about this. I blog in both French and English (I’m French and I live in England) and I’d love to take part! I’m not sure how? Please visit the south! I know a lovely place to stay and then you can write about this area!!! Sorry I forgot Ireland and thanks for contributing so often. Thanks for linking EVERY SINGLE TIME Diane! It’s people like you who make it so great. Hmmmm Rosie…might animals have something to do with one of your faves? Lol! Thanks for your support over the year. Excellent Lisa! I love those 2 blogs too and I’m delighted you found this linky. We must meet one day when you’re around again. No problem Elizabeth, for someone who doesn’t live in France you’ve managed to link up an impressive amount. I look forward to seeing you back in March. Thank you so much Thien Lan, cáÂº£m Ã†Â¡n!!! That’s good to hear Dr Terry. And thank you for being such a regular linker GGG, it’s been great getting to know you and actually meeting in real life too! So excited to find out about this linkup! I’ll try to remember to link up monthly… until I run out of France posts, lol! Happy 1st Anniversary! Thanks for making this possible – and I also love discovering everyone’s blogs. So many unique perspectives! Heey Phoebe, thank you for the reminder! Wow 1 year? That’s amazing, congratulations! Thank you for hosting #AllAboutFrance I love reading about this lovely country on your link up. Happy birthday to All About France. Well done Phoebe. YAY! I told you your link-up was my favorite! 100% attendance…reminds me of elementary school! 😉 Happy to be a loyal linker and looking forward to another great year of Frenchy fun. I get to go back to Paris in May – SO excited!!! Thank you, Phoebe! Well done Phoebe, and thanks for the hard work! I will subscribe, if I haven’t already. As owner of 2 websites about France I’m always interested in the latest news. Happy Birthday Phoebe, well done on the linkup, great stats, you can be proud! Thank you for allowing us to see France through so many different angles. Very refreshing! To another successful year like this one! Thanks Phoebe for all your organisation. I really enjoy reading the monthly link ups – and always read your own blog too! I now have a couple of other favourites too, The Curious Rambler and Lost in Lyon, who I read regularly and would not have got to know them without you! Vive La Linky! Congrats on 1 year! Thanks, as always, for hosting! I always enjoy reading others’ posts! Yes, hip, hip HOORAY! Great job and Happy Anniversary, Phoebe! Happy birthday, All About France Linky! Thanks to Phoebe for a pulling us all together and for a job well done!! !